Now that the new year is underway and tax filing season is approaching, we’re all looking for ways to make taxes a little simpler. None of us likes to fill out the forms, but it’s a requirement. The CRA expects us to figure out what we owe, and then pay if we need to, or get a refund because we have overpaid throughout the year. If you are hoping to prepare your taxes with a minimum of fuss, one of the tools you can use is SimpleTax. 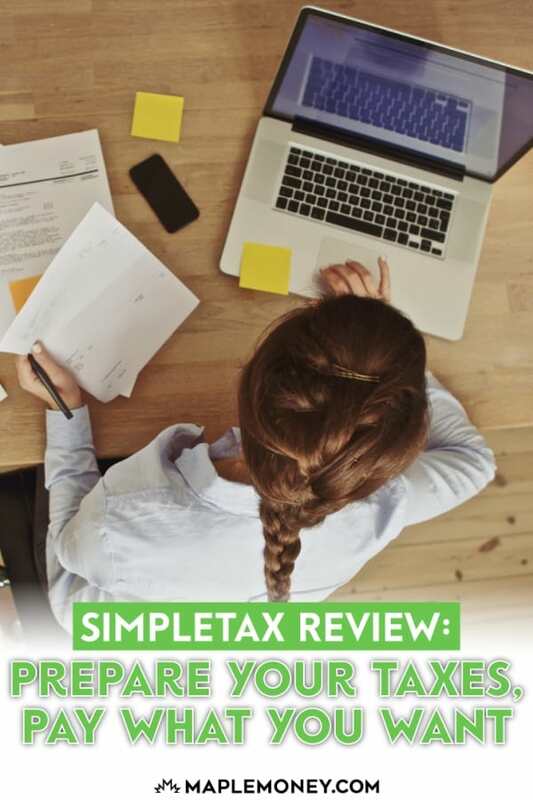 SimpleTax is a free online program designed to help you prepare your taxes in Canada. This is my tax preparation software of choice, thanks to its professional, clean design and how easy it is to use. SimpleTax is one of the newer tax software applications. The company was founded by designer Jonathan Suter, his wife, tax lawyer Allison Suter, and his friend, developer Justin Reynen. The different strengths of the founders are evident when you use SimpleTax. The design is clean and simple, and the interface is easy to understand and familiar. SimpleTax supports all federal and provincial returns and have a full French translation for compliance with Revenu Quebec. One of the great things about SimpleTax is that it is compatible with a variety of tax situations. Even if you have investment and rental income, or if you are self-employed, you can use SimpleTax to prepare your return. However, you should be aware that SimpleTax won’t allow you to prepare a T2 return. If you need to do so, TurboTax offers a Business Incorporated version for your tax preparation needs. SimpleTax is also protected by encryption so that you don’t have to worry about your personal information getting out there. In fact, SimpleTax won’t even be able to recover your password for you if you misplace it, so you need to make sure it’s safe. This can make things a little inconvenient if you have started working on your return, and then forget your login information. Double-check it all before you create an account so that you don’t wind up losing your work. One of the great things about SimpleTax is that it offers step by step tax preparation. The tax software looks a lot like what you’d see when you fill out your forms on paper, so it’s familiar. SimpleTax asks you questions and shows you exactly where to look in order to get the answers you need. All of your calculations are performed for you and filled in on the tax forms. It’s a simple way to go through everything — without the need for pencil and paper. Before you submit anything, SimpleTax allows you to review your information for accuracy. SimpleTax calculates your refund at each step, changing the numbers as new information is entered. The system is transparent so you can see what is going on, and you can easily try different scenarios and make different decisions. Just make sure that they are legal and you are within proper tax regulations. My favourite thing about SimpleTax is how easy it is to follow, and the fact that it is very clean and user-friendly. This user-friendliness is one of the main reasons I recommend SimpleTax over StudioTax, although StudioTax is a great product and you might prefer it if you’re looking for a desktop option. SimpleTax has a simple pricing structure: It’s free! You don’t ever have to pay for SimpleTax, if you don’t want to. The company works on a pay what you can model. You can choose to pay for the service, or not. Many people choose to donate, though, because the service is so useful. If you like using SimpleTax, I encourage you to support the people behind it so they can keep doing their good work. While SimpleTax won’t work for everyone, it is likely to work well for most Canadians. If you have especially complex taxes, or if you need to file a corporate return, you might need to consider looking elsewhere. But, for those with common Canadian finances, including a side gig, rental income, and qualified accounts, SimpleTax can be a great tax software solution. Great write-up! I’ve also been testing out SimpleTax and have found it to be very user-friendly an well-designed. I also appreciate the fact that it’s a “pay what you can” programme, although it’s so good I’m willing to pay! Thanks for this. I ran my numbers through Simple Tax and Ufile (my usual site) simultaneously, and found Simple Tax way more … simple! So I filed through them for 2015 and hope to do so again in the future. I have used SimpleTax since 2012. Although it can be free I make a contribution as I think its worth it. Its good to use and support [ie pay for] a well written Canadian owned and developed product. My tax returns include T4s, T3s, T5s, Cap Gains/Losses and other incomes and expenses to contend with. It handles these with the ease you would expect. Its very simple to use and is my preferred choice for filing tax for myself and family members. I also like the fact that it does not try to upsell you all the time, unlike other well known tax software. So try it and if you like it – pay something. On July 2, 2015 , TaxACT acquired all of the equity of SimpleTax Software Inc., a provider of online tax preparation services for individuals in Canada, for C$2.2 million (with C$ indicating Canadian dollars and amounting to approximately $1.8 million ) in cash. The Company also agreed to pay up to C$4.6 million (approximately $3.7 million based upon the acquisition date exchange rate) in aggregate contingent consideration over a three -year period based upon the achievement of revenue-related objectives. The acquisition of SimpleTax is strategic to TaxACT. That said, we’re still a Canadian company and everyone at SimpleTax lives and works in Canada. We’re also hiring Canadians to expand to Québec. For everyone’s information, Joanne Birtch is the Senior Director of Marketing and New Business Development at UFile (who themselves were acquired by Thomson Reuters, a multi-billion dollar corporation that is now headquartered in New York). Does it have the option to import information from previous returns. e.g all the info for the first page of the T1 plus carry forward amounts for things like RRSP contributions and Tuition and Education amounts? Since they need to file 2012, 2013, 2014 and 2015 returns it would be nice to able to start with the 2012 return and then import for the subsequent returns. Ah, gotcha! And yes, if you start with a 2012 return, SimpleTax will automatically pull information forward for subsequent years, so you won’t need to re-enter everything from scratch. Can I start my return, save it and come back at a later time or day? You bet! All you need to do is sign up for an account. Does SimpleTax make it easy to report information from forms T5013 and T5008? I’ve been using Simple Tax for several years and like it a lot. I have one question. Can Simple Tax handle splitting taxes if it’s the final estate tax return for one of us? Hey Richard! SimpleTax can handle final returns, however some of our automated optimizations aren’t available (i.e. pension splitting). I have used Simpletax for the past several years and it is just that – Simple! It was my first year of tax return and I used Simple tax in 2017 (for 2016 return). It was way more user friendly than other software. I carried forward this year and it was an easy carry over plus the Auto-fill made it much much more easier than I thought it would be. Keep it up Simple Tax team! Useful comments on Simple Tax, I’ll tell clients & friends, thanks. Studio Tax has been good for me for 3 years, also Tom’s Tip I think. They’re in Ottawa, support the locals! I do, with some money too. I’ve used SimpleTax for three years and am very impressed with it. It’s straightforward and intuitive. I’m so pleased that I donate probably a bit more than I’d pay for a competitor’s product. 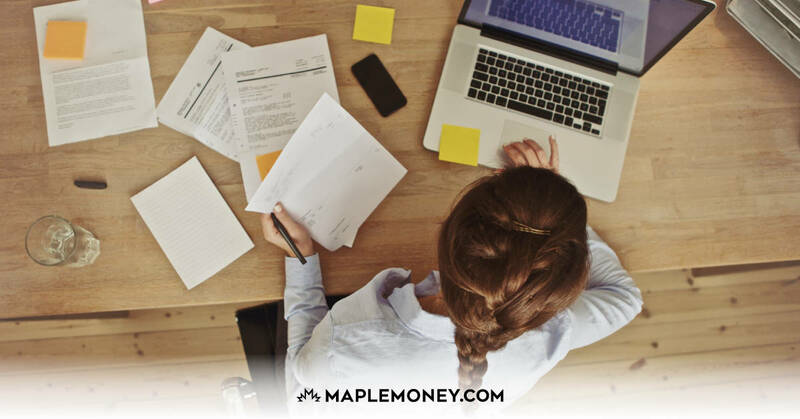 Simple Tax is a great way to do taxes…..I could not believe how easy it is to use, plus it even corrects mistakes and fills in most things from the CRA using “Autofill”. The most complicated part is getting CRA’s My Account setup, which is the government, of course. My only question is, how do they make enough money to keep this going if it is free? I will certainly donate something to them, but with the talk of million-dollar purchase above, where exactly is the revenue coming from? Thanks! Just submitted my 2018 tax return with Simple Tax for the fifth year in a row. And as usual it was quick and easy. If you’re not using Simple Tax, you are missing out on the easiest, most affordable way to do your own taxes. Try them. You won’t regret it. In fact you’ll be happy you did. Did I read correctly that simple tax doesn’t support pension splitting? Does not support pension splitting on a person’s FINAL return.